The Roscommon Area Public School Middle School and High School Choirs, led by Emerick Dee, recently purchased two new electronic pianos. 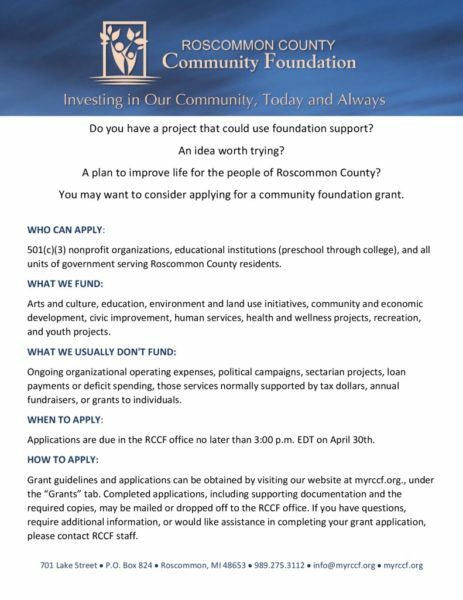 These purchases were made with assistance from a $2,500.00 Grant by the Roscommon County Community Foundation (RCCF). Funding was awarded from both the Sarah Eulaine Tucker (Class of 1977) Fund, at $2,133.00, and the Jim Mahoney Music Fund, at $367.00. Mr. Dee expressed his excitement about using this new technology with the choirs that will enable them to continue to grow and improve on its long history of excellence.